A Chicago, Ilinois native, Lauren has called the St. Louis metropolitan area her home for nearly 20 years. Lauren is an active member at New Life Community Church in East St. Louis, Illinois. She is a devoted wife and proud mother of one son. In her spare time, Lauren the adventerous, enjoys traveling, creating family memories, and exploring new activities and places throughout the metropolitan area. Her professional and educational background in marketing and corporate communications, has led Lauren’s drive and dedication to help advance the business objectives of non-profit organizations. She has served in leadership capacities that have earned her recognition from several professional, civic and religious organizations. Some of her previous professional and community affiliations include: Big Brothers Big Sisters of Southern Illinois, United Way of Greater St. Louis, African American Charmaine Chapman Leadership Society, Minorities in Communications Associations (MICA), Writers Planners and Trainers, National Association for the Advancement of Colored People (NAACP), Kicks 4 the City, Eastern Illinois University: Minority Affairs-Peer Leader, Unity Hospice, 42 Foundation. Lauren’s motto is, “Nothing beats a failure, then a try.” She strives to inspire others by encouraging more dreaming, more learning, more doing, and taking control of your own destiny. Wanda, a native of East St. Louis, Illinois has called the metro east her home for years. 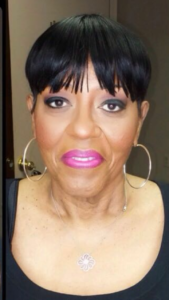 She is a retired educator, having worked 30 plus years in East St. Louis’ School District 189. Wanda is an active member in Swansea, Illinois’ Deliverance Christian Church. In her spare time, Wanda can be found volunteering at nursing homes or tutoring children. Wanda has dedicated her talents to creating and executing instructional plans and classroom techniques to meet the needs of the diverse students. Wanda continues to dedicate and donate her talents to her community. She brings her life experiences and knowledge to pursuing its improvement, empowerment, growth, and success. Once an educator, always an educator. Tina is a loving mother of five. She is a participating and working member of East St. Louis’ New Life Community Church and volunteers for several ministries. She leads and facilitates small groups and, is assistant chair to the Best Year Yet team, which raises funds and develops program for the church’s outreach center, Community Lifeline. She also volunteers for many community outreach events. 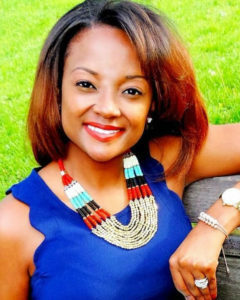 She earned her Bachelor’s in Workforce Education and Development from Southern Illinois University Carbondale and her MBA from Fontbonne University. Her educational background and interests led her to a twenty-four-year career with the City of East St. Louis City Hall. She has worked with five City of East St. Louis mayoral administrations along with federal, state, county, local governments, and various oversight agencies. 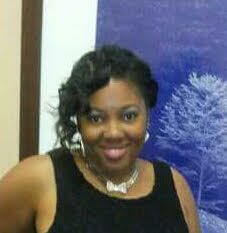 Tina’s pleasures in life are reading, traveling, spending time with loved ones, and serving other people. Her service to others is further reflected by her position as the Vincent Gray Academy Board of Directors’ Treasurer. Tina’s desire is to help rebuild the City of East St. Louis by bringing new businesses, facilitating outreach programs, and helping individuals in need. Kimberly Denise Thomas is an East St. Louis, Illinois native. She is an active member of Macedonia Baptist Church of East St. Louis. She has been married to Richard Ira Thomas Jr. for over 10 years. She has two wonderful sons (DeAndre and Jasmond), one glorious daughter (LaKeitha), two wonderful grandsons (Kenneth and Keyon), and two glorious granddaughters (Ayanna and Rachelle). In her copious free time, Kimberly enjoys bowling, reading, bible studies, women’s ministry meeting and computer activities. Kimberly earned her Master in Computer Science from Grambling State University. She has over 25 years working in the Medical Field as a Claims Supervisor. Her education, bi‑cultural background, and focus on community collaboration has led her to a number of volunteer opportunities and community leadership roles. Dr. Gordon D. Bush is a native of East St. Louis, Illinois. He is an active member of Greater New Hope Baptist Church. He is a dedicated husband and proud father of two children. His leisure time is spent playing golf and mentoring the youth and children of the community through his non-profit foundation, The East Saint Louis Youth Commission. Dr. Bush earned his Master of Arts in Urban Planning from Southern Illinois University-Edwardsville, Illinois. 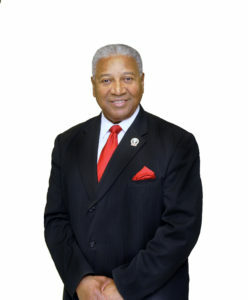 He is the recipient of two honorary doctorates: Wiley College’s (Marshall, Texas) Honorary Doctor of Humane Letters and Mount Senario College’s (Ladysmith, Wisconsin) Honorary Doctor of Laws. He served 29 years in the United States Army, retiring as a Lieutenant Colonel. He received a Presidential Citation from President Clinton for 29 years of Meritorious Military Service. His educational background and service to his country helped to pave the way for his pursuit of civic activism and leadership. He was a two-term mayor of East St. Louis, Illinois (1991-1995) and, continues to be an active participant and leader in East St. Louis’ development and growth. His many activities include Chairman of East Saint Louis Youth Commission; Board Member, Area Agency on Aging of Southwest Illinois; and Life Member, NAACP. The Gordon D. Bush Elementary School was opened in his honor. His list of achievements and honors seem to be endless. He constantly pursues goals that result in East St. Louis’ success.